Must have one of the eligible phones. I thought it sounded like the same promo. Thanks for posting it here @c3 so that there is a place to continue the discussion. Can you cancel the service at the end of the free year without repercussions? Update-I checked with Sprint to get my answer. After the free year when they try to jack your acct. up to $60 per mo. since there is no contract you can just stop or cancel the service with no repercussions. Based on that info I am canceling Total Wireless and ordered the sim card for this Sprint plan. Did this for my wife. She’s had it about 5 months now. The auto bill payment hits my card for $4.32 each month. Awesome deal!! And you hear bad things about Sprint but she’s had decent signal and 4g connection most places we’ve gone. Just came to know about this plan. Wonder why this has not become popular? Apparently LG X Charge from Xfinity should work after unlock. This also has Global roaming for free at 2G. You can also transfer the service to a different phone which is not in the list. I cannot get my unlocked LG X Charge from Xfinity to work. Did you plug in the IMEI and phone number and check on the Sprint site? Does it work for you? No I haven’t tried it yet. I gave up on the idea after reading about it in detail. What specific deal breakers did you discover? TIA. Unlimited Offer: Eligible device must be unlocked and compatible with Sprint SIM card and network. Reqs. SIM card purchase ($2.99 + $10 S&H + tax). SIM must be activated prior to port-in. No device upgrade allowed during first four months. All upgrades must be made online or remaining free months will be forfeited. Phone features and network experience may vary based on original device carrier. Excl. ports made between Sprint or related entities. Unlimited — Bring Your Phone Plan: Incl. unlimited domestic calling, texting & data. Third-party content/downloads are add’l. charge. Sel. non-premium int’l. svc. incl. See sprint.com/globalroaming. Max. 5 lines. Plan not avail. for tablets/MBB devices. After 1/31/20, plan will become Unlimited Basic. Add a Line: Add a line at any time with port-in from postpaid carrier and Bring Your Own Eligible Phone up to the max. number of lines & get promotional pricing until 1/31/20. AutoPay: $5/mo. discount req. continued AutoPay enrollment. Quality of Svc. (QoS): Customers who use more than 50GB of data during a billing cycle will be deprioritized during times & places where the Sprint network is constrained. See sprint.com/networkmanagement for details. Usage Limitations: To improve data experience for the majority of users, throughput may be limited, varied or reduced on the network. Sprint may terminate svc. if off-network roaming usage in a mo. exceeds: (1) 800 min. or a majority of min. ; or (2) 100MB or a majority of KB. Prohibited network use rules apply—see sprint.com/termsandconditions. Other Terms: Offer/coverage not avail. everywhere or for all phones/networks. May not be combinable with other offers, including but not limited to AAA, AA, Credit Union, Premium International Experience, Port in credits, Prepaid Reward Cards, Referral Rewards programs and IB/Lease promotions. Accounts that cancel lines within 30 days of activating on promo pricing may void savings. Restrictions apply. See sprint.com for details. © 2018 Sprint. The requirement to port from a postpaid service is going to hurt this promotion for many. Either this must be a relatively new requirement or it is not enforced. And if not a power user of voice or data, easier and less hassle to just use tello or red pocket. The last day to sign-up is now officially 4/4/19. Discounts expire 1 year after sign-up and on 04-30-2020 for all plans. @fivetalents Thanks for bumping it. 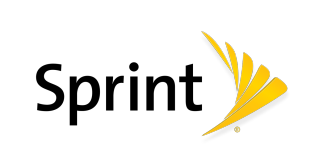 Actually have interest in this now, although not sure how well Sprint will work in my area. If you purchase something through a post on our site, PhatWallet may get a small share of the sale. I’ve had Sprint for many years and have used it while travelling a number of places nationwide. I find drapped calls to be nearly non-existent. Though their tower coverage is not as extensive as other carriers, since they have a free roaming agreement with Verizon, I’m always able to use the calling features wherever I am with no additional fees (I have unlimited talk/minutes), even where there is no Sprint coverage. You just have to watch out for data roaming (which I disabled on my phone). The biggest concern I have is getting and maintaining a consistently strong 4G signal, but I have an older phone and the backup 3G works well for most online activities (and of course you can switch to a secured/PW protected WiFi signal as well). During bad storms, my WiFi (whether through Xfinity, AT&T, Dish, etc.) is lost fairly often and can, less frequently, be out for one to several hours… Sprint towers only lose signals due to weather once in a rare blue moon and get back online relatively quickly in such instances. Of course, being CMDA, you’ll want to check to see if you’ll need other options for international travel where GSM is more prevalent. Sprint’s unlimited plans include data, text, and calls while in Canada and Mexico (and free calls to them from the US), but this free plan does not have that. It does, however, include the global roaming in 200+ locations that’s on all plans, although data is only 2G unless you buy a day or week of high speed data and calls cost ($020/minute), text messaging is free. If you need to make international calls from the US, you can add that for an additional fee. Looks like your connection to PhatWallet was lost, please wait while we try to reconnect.